A new academic year has begun for us all in our schools and our communities in the United Kingdom. Teachers, parents and learners alike have returned to school for another year to educate, care and prepare our children for the future. No doubt many would have been nervous, excited and for some, a little petrified at the thought of going back to school – and that’s JUST the teachers! Along with others, I have been concerned for quite some time about the wellbeing of some teachers and children that I have met. The pressures of teaching and learning may not go away, but we can look at strategies of how to make our lives more balanced and healthy so that we can face some of the difficult challenges in education. This is where we have the launch of The Being Well Agenda. What is the Being Well Agenda? The Being Well Agenda has been created because we need to help create a nation of children who are happy and healthy. It’s a is a new multi-disciplinary project for primary schools across the UK to help achieve this goal. There are many secondary schools who are also supporting the initiative, sharing their own experiences and ideas. This is the where the idea was born. In the Autumn of 2015, England’s first ever Children’s Commissioner, Professor Sir Al Aynsley Green, brought together a working party of interested partners to collaborate on a project to mark his tenure as president of the British Medical Association. What drives this partnership is a belief in the ability we have to make a genuine difference to the nation’s children when the worlds of education, medicine and well-being come together in a spirit of real collaboration. Who Are The Being Well Agenda Team? We are asking schools throughout the UK to commit to a series of well-being related activities across the school year 2016 – 2017. These activities will be based around the ten themes above, one per month. The exact nature of what these activties are is entirely down to the individual schools involved. They can be as large and ambitious or as small and manageable as is appropriate. In other words, do things with children not for them or to them. All we ask is that you commit to the ten themes across the year and then share with us and other schools the sorts of things you have been doing – and how they are positively affecting the well-being of your children, their teachers and the wider school community. 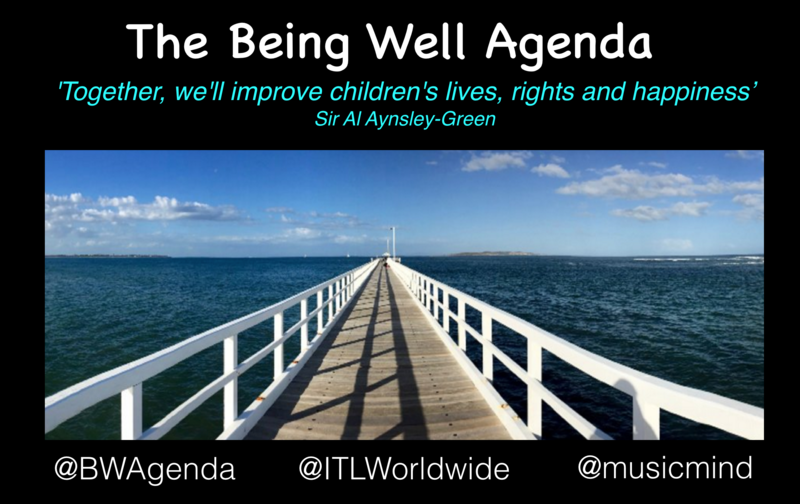 Delighted to be working as part of the Being Well Agenda team representing Independent Thinking Ltd I will be working with schools and teachers supporting them in their journey of sharing and trying ideas so that our children and teachers are safer, happier and healthier in their schools. It’s not too late to join us click here to sign up now at the bottom of the page. Do get in touch if I can be of any further assistance.